Harry Potter Book Night at Brompton and Chelsea Libraries! Who could resist Potter madness? 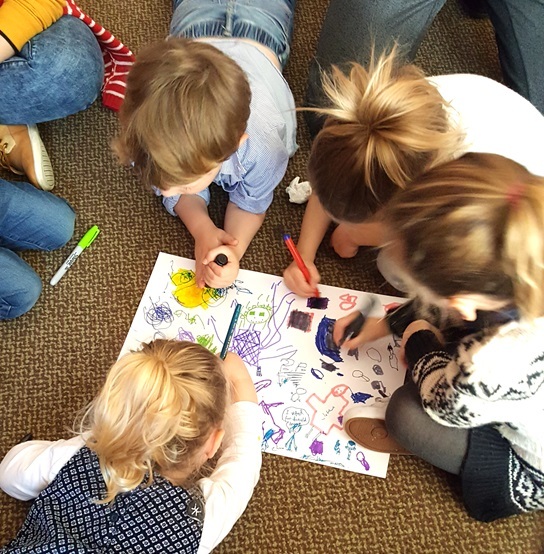 Brompton and Chelsea libraries certainly couldn’t and fully embraced the Harry Potter Book Night madness with magical craft sessions of their own. We captured a few pictures from the events, take a look at the ‘mischief managed’! Time, like the Firebolt, flies. An entire year has already passed since I first wrote about our Harry Potter Book Night hi-jinks. On 4th February 2016, North Kensington Library once again joined the thousands of fans across the globe in celebrating Harry Potter Book Night 2016. The theme, A Night of Spells, opened up a galaxy of ideas, the most ambitious being the creation of Harry Potter Week. Here is a recap of all the mischief we managed! The Harry Potter festivities kicked off on January 20th with a year six class visit by Notting Hill Preparatory School. The main theme of the visit was Friends and Foes. Supported by carefully selected extracts from Harry Potter and the Philosopher’s Stone, the children explored the relationships between the main characters, bullying, and Neville’s bravery when he stood up to his friends. Five students were chosen to role play a scene from the book and we would not be surprised if they went on to become thespians! The following discussions were engaging and lively. The children were all incredibly passionate and shared some really interesting insights into the characters and their behaviours. We were incredibly lucky to host Klaudija Cermak for a second year in a row. If you don’t remember, Klaudija is a visual specialist and worked on Harry Potter and the Chamber of Secrets and Harry Potter and the Deathly Hallows Part I. I admit, I don’t know much about special effects but I think most would agree with me when I say that the effects used in the Harry Potter movies were brilliant. They look real, and they enhance the magical feel of the films – it’s easy to believe that there is a Wizarding world! Klaudija was as charismatic as ever and an engaging speaker. Children were able to create their own diaries, and make a part of our Diagon alley. No Horcrux in sight! I have one word to describe Harry Potter Book Night this year – WOAH! Firstly, thank you to Chris for assisting me in making everything and to Claudia and Ria for waging (and eventually winning) the battle against the walls and windows to get everything up and looking fabulous – couldn’t have done it without you! We wanted to create the Hogwarts experience, so we introduced three magical classes: Duelling, Potions, and Transfiguration. All three classes proved to be a huge success and surprisingly, minimally messy! Our Have You Seen This Wizard? photo booth was also a huge hit! Following proper duelling etiquette, each participant respectfully bowed to their opponent before turning back to back and awaiting the countdown from the moderator (I was reminded of those classic draws found in old Westerns). It was good fun, the duellers were serious and enthusiastic – I’m pretty sure we witnessed the birth of a few new actors and the supporters were great sports. And if some children happened to confuse the effects of ‘Expelliarmus’ with ‘Crucio’, no one pointed it out as their overacting was quite a hilarious site to behold. There was a real fear that potions would be a complete disaster but I’m happy to report that it wasn’t (Nadira Chaoui was the biggest reason why)! Nadira and I ‘brewed’ three example potions: the challenge was to recreate these potions using the different ingredients provided, in under five minutes. 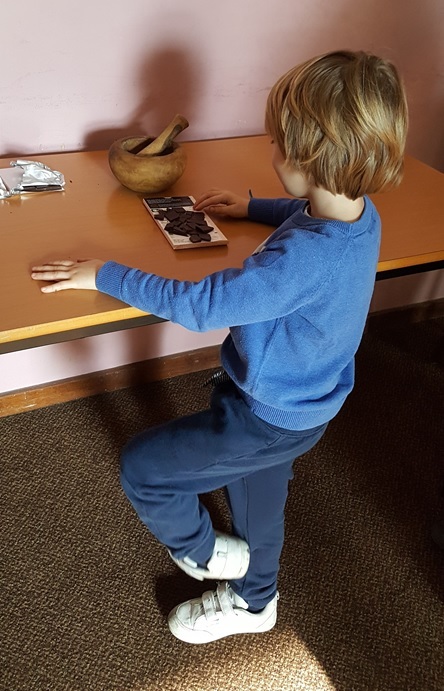 The children were diligent students and it proved to be no challenge as the majority made excellent replicas and bounced away with their house points. I found myself humbled when a young Gryffindor asked if I had ‘Essence of Dittany’ and had no idea what he was talking about. I’m still ashamed and currently re-reading the series! The Harry Potter scavenger hunt was equal parts hilarious and chaos. (I’ve included the questions at the end of this piece for you to test your own Harry Potter knowledge, please let us know how you do in the comments section!) I am certain that I had hidden all the clues in visible places but it seemed that the greatest challenge for our young witches and wizards was finding question 7. Apart from that, they seemingly breezed through the answers – I’ll definitely make it harder next year. To make sure everyone had a chance of winning a prize, we randomly drew winners from the correctly completed entries over the course of the evening. Time for a funny story – an indignant young witch pointed out two devious Gryffindor’s who had snuck into the submission box to correct a few answers on their already submitted ballots and resubmit when we weren’t looking. 20 points from Gryffindor, tut tut. Transfiguration was headed by Professor McGonagall (Lynn Terrell) and that was a hoot. Students were tasked with recreating one of three items – Nagini, a Golden Snitch, or Helga Hufflepuff’s Cup. Points were awarded based on the successful creation of one of these items from magical modelling clay and the likeliness to the examples provided. My personal highlight from this activity was the parent who made a beautiful Golden Snitch, she even included the engraved markings and bartered for 100 points instead of her awarded 30 points (the maximum number for a snitch)! Lastly, Slytherin house claimed the House Cup Quiz Trophy! Last year’s winners, Gryffindor narrowly missed retaining the crown by five points, with Hufflepuff and Ravenclaw finishing in that order. There were so many great moments from the night but I really would be here for another year if I tried to include them all! Our week concluded with a very special Harry Potter knitting session. Ran by Ms Tuula Petitlo, participants were taught the basic knitting stitches, given helpful pointers and guiding in beginning their very own Hogwarts scarf. 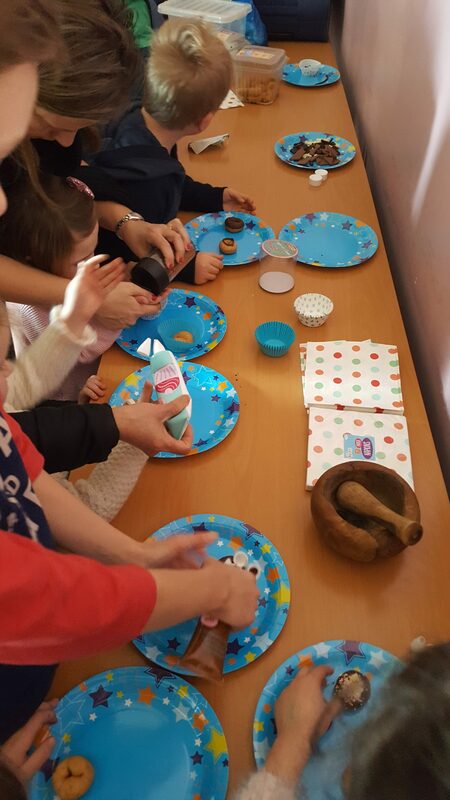 It was a successful family workshop and we have some great pictures. If you are interested in either crocheting or knitting, Tuula runs the ‘Crochet and Knitting’ group at Kensal Library, every Monday 1-3PM. While it was a very busy week at North Ken, it was also a very successful week. Beyond celebrating Harry Potter, this week served as a reminder of the incredible power of literature and its ability to bring people together. 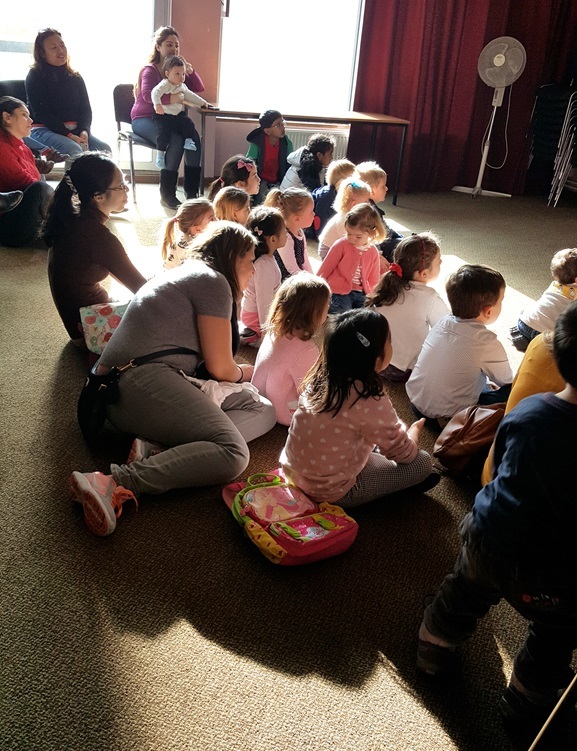 As a fan, it’s great to share my passion with younger readers and as library staff, it’s incredibly rewarding to see so many children enamoured with the books. At the heart of it all was our library service, offering the community a welcoming space where they were encouraged to make great memories, meet new people, learn, explore and most importantly, enjoy our facilities. And although it’s taken me nearly a month to fully recover, it was definitely worth it. A huge thank you to all the people that assisted in delivering Harry Potter Week, it would not have been possible without you. P.S. At your next North Kensington visit, take a look at ‘Harry Potter: Page to Screen’ by Bob McCabe and ‘Harry Potter and the Philosopher’s Stone (Illustrated Edition) by J.K. Rowling – they are both too beautiful not to look at! What is the name of Dumbledore’s Pet Phoenix? What type of animal is fluffy? What do Ron and Harry fly into the whopping willow? What position does Ron play on the Gryffindor Quidditch team? What is the name of the sixth Harry Potter book? How many children do Arthur and Molly Weasley have? What country wins the Quidditch world cup in Harry Potter and the Goblet of Fire? How many Hogwarts houses are there? From what platform can you catch the Hogwarts Express? What is the name of Harry’s pet owl?